Upper Dolpo trek is considered as one of the most challenging and adventurous off-beaten treks in Nepal. Dolpo is one of the most beautiful and remote regions of Nepal. It is a truly isolated corner of Nepal. The culture and tradition are still untouched by the modernity. This trekking trail is meant for real adventurers wishing to trek in a hidden valley of Nepal. You’ll be really amazed to see the raw beauty of the isolated land. Dolpo region is located in mid-western Nepal, behind the Dhaulagiri massif, towards the Tibetan Plateau. The Oscar-nominated documentary “Caravan” was filmed in this region. The trek begins with the scenic flight from Juphal after a short flight to Nepalgunj from Kathmandu. Upper Dolpo region is truly one of the most beautiful natural tourist destinations in Nepal. The focal point of this trek is Shey Phoksundo National Park enrich with a wild and wonderful variety of plants and wildlife including the blue sheep and leopard. Outstanding views of snowy-peaks, isolated villages, ancient Buddhist monastery, high passes, and wonderful lakes are some major highlights of this trek. 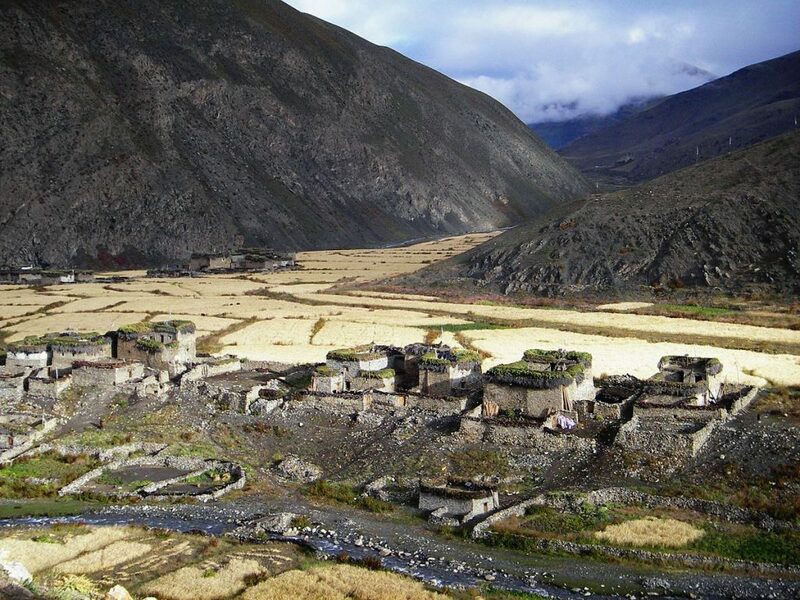 The Upper Dolpo region also offers the best opportunities to visit isolated Shey Gompa, one of the unique spiritual place. Basically, the people of this region are simple and warm-hearted. The culture and traditions of this area are influenced by Tibetan culture. The enthralling adventure through Dolpo region will be your lifetime memorable experience !!! On arrival at Kathmandu International Airport, you'll be received and escorted to your hotel by our company representative. After check-in hotel rooms and getting refreshed, you can go for a short walk around the city. This day, we'll go for the Kathmandu sightseeing which includes some of the famous world's heritage sites; Pashupatinath, Swayambhunath, Boudhanath, and Kathmandu Durbar Square. In evening, after having some refreshment, your tour guide will give a brief explanation about an upcoming trip. Later on, you can go shopping and make further preparation. And back to the hotel for overnight stay. Early in the morning, we'll fly to Nepalgunj. Nepalgunj is situated in the western Terai, close to the Indian border and the Bardia National Park. It is also a major transport hub for western, mid-western, and far-western regions of Nepal. Overnight we'll stay at a hotel. In evening, we'll have time to look around the city. It is quite hot and humid compare to Kathmandu valley. We'll spend overnight at hotel in Nepalgunj. Early morning transfer to airport for the flight to Juphal. This flight is truly awesome!!! Flying over the Himalayan foothills with the view of Dhaulagiri and Annapurna ranges. On arrival Juphal, we'll have a short break and begin our adventure with an hour downhill walk via the village. After walking for 2-3 hours we'll reach Dunai. Here we'll have an ample of time for a walk around the village. Overnight stay in the teahouse in Dunai. We'll begin our trek towards Ankhe, the entry point of Shey Phoksundo National Park. The trek begins by crossing the new suspension bridge and the trail turns to the west. 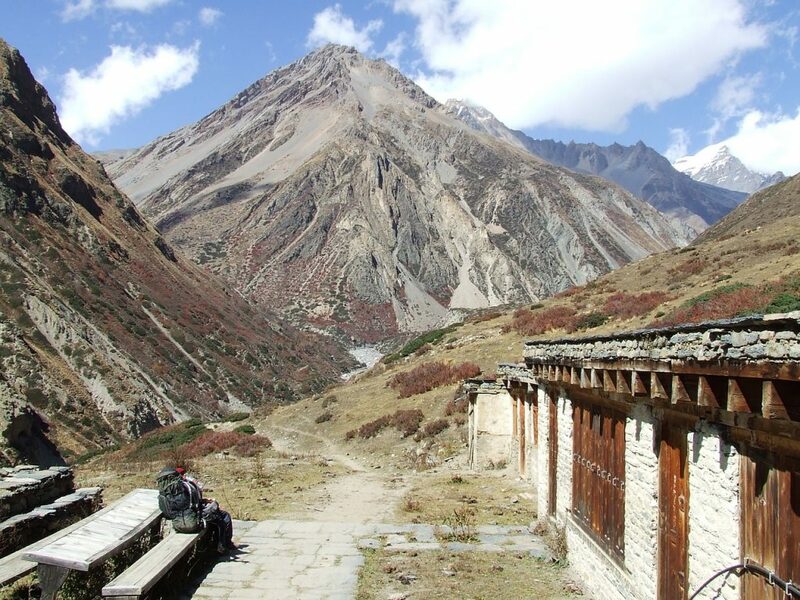 The trail ascends via the treeless Thulo Bheri valley and enters the Phoksundo valley. The trail gently descends downhill via walnut groves and leads to Dhera and lower part of Rahatgaon. Passing via deep dark forests, finally, we reach Ankhe where we'll stay overnight at the tea house. We'll continue our trek passing via several streams along the way. At last, we'll walk via a rocky trail which is more technical. But the local people easily ran away with their yak and sheep. It just beyond our imagination !!! Enjoying all the beautiful sceneries, our journey continues upstream to bridge near Ryajik village at Sulighat where we spend our night. We'll continue our trek along the valley to the confluence of the Phoksundo and Pungmo rivers. After crossing the bridge, we'll walk on the western bank of the Pungmo Khola. Passing via a cedar forest we'll reach Palam village. From here we'll trek up to the ridge and at distance, we'll get a view of Phoksundo Lake and astonishing waterfall. Next, our trail descends via birch forests and we'll reach beautiful Ringmo village. This village has mud plastered chortens and mani walls. After a short walk, we'll reach the bank of Phoksundo lake for an overnight stay. This day, we'll explore the area around Ringmo village. We'll head towards Tshowa - the lakeshore Bon Monastery. 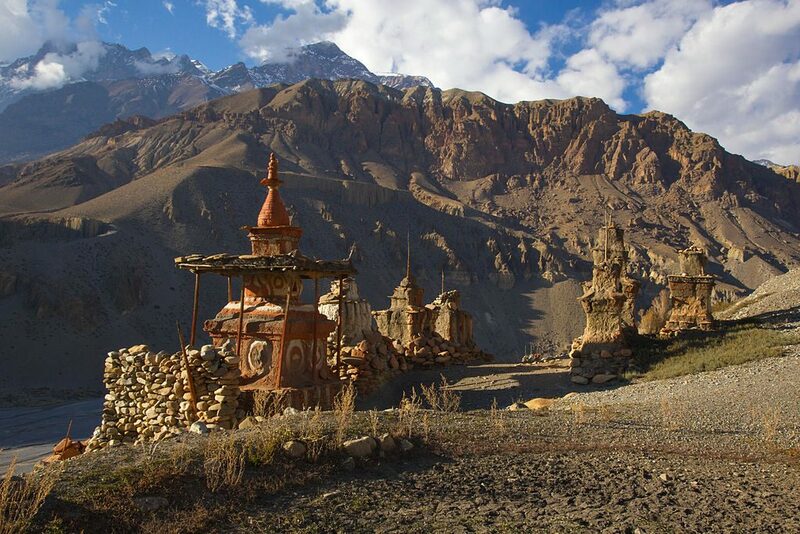 After exploring this culturally rich Bon monastery, we'll drop down to Phoksundo Lake. 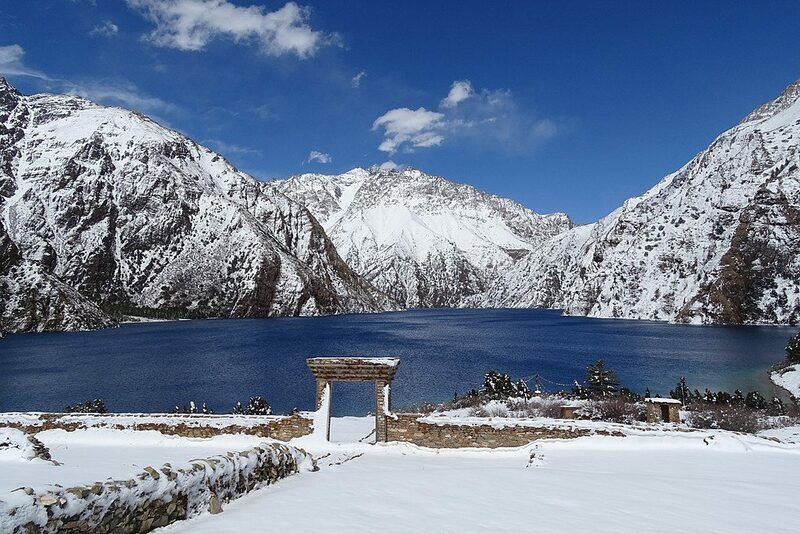 Shey-Phoksundo lake is the deepest lake in the Himalayas. 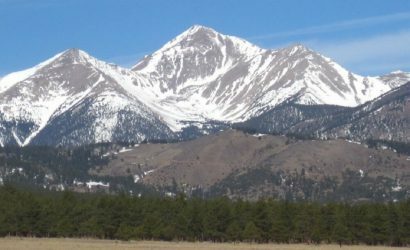 It is a greenish blue in color surrounded by beautiful snow-capped mountains. Apart from enjoying the natural beauty of the lake, we'll also witness the unique culture of Dolpo people. Overnight stay at Phoksundo Lake. From Phoksundo Lake, our adventure continues along the western bank. This day, we'll about to enter the remote area via a lush meadow that opens up into the floodplain of the Phoksundo Khola. The trail continues via the valley, crossing the river we'll come to the bank of the river to the overnight camp. This day, the first half of the walk will be along the level path via a glacial valley heading towards north. We continue our trek walking on the old wooden bridge. Slowly trail leads towards to the north-east of the valley. 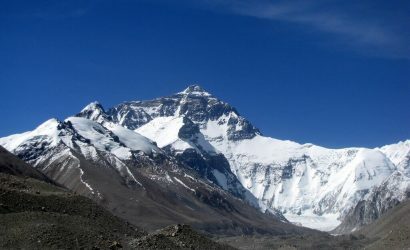 On the way, we'll be rewarded with breathtaking views of Chahamlang peak 6 and peak 7. After a hard climb, to the top brings us to next valley from where we can see Kang-La Pass. Here, we'll set our camp for an overnight stay. Early in the morning we'll ascend on a steep trail towards the pass. The climb to the pass is quite strenuous. Though the climb to pass is strenuous, at the end we'll be rewarded with the fabulous views of the large valley dissected by a gushing river. We'll gradually descend to the valley. This time we have to be little more careful as we've to walk on a steep trail. After that, we'll be walking along the bank of the river and crossing it for several times. On the way, we'll notice the mud caves lining the hills. Then we'll pass via meadows where we can see grazing yaks, hundreds of sheep, and Chyangra (a domestic mountain goat). Finally, after crossing the wooden bridge we reach Shey Gompa where we'll spend the night. This day, we'll have a whole day to explore Shey Gompa (the "Crystal Mountain" built during the 11th century). It has colorful Tibetan murals and old statues of deities. This had been fabled that monastery was built by a Tibetan Buddhists Lama, arriving on the back of a mythical snow-lion. There is also another gompa next to the main monastery. 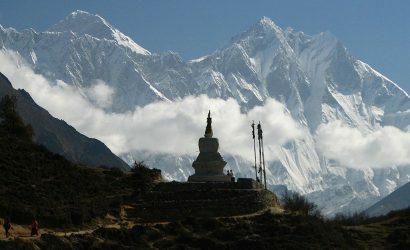 Actually, Shye Gompa stands above the confluence of Kangjunala and Yeju Nala. Near the confluence, there is a group of prayer mills turned by water wheels. Besides, Shey is also inhabitants of Himalayan wild animals like Blue Sheep, Snow-leopard, wild rabbits and Himalayan cats. Thus, Shey is also a major attraction of Shey-Phoksundo National park. Overnight stay in Shey Gompa. We'll begin our trek following a pleasant trail which descends into a grey, stone canyon. Then, walking on zig-zag bare rocks trail we'll reach the top of Saldang-La_pass. Though the walk is little long and tiring at the end we'll get a fantastic sight of pastures of grazing yaks and sheep and the nomadic tents made from yak hair. Namduna Gaun is famous for Namgung Monastery. 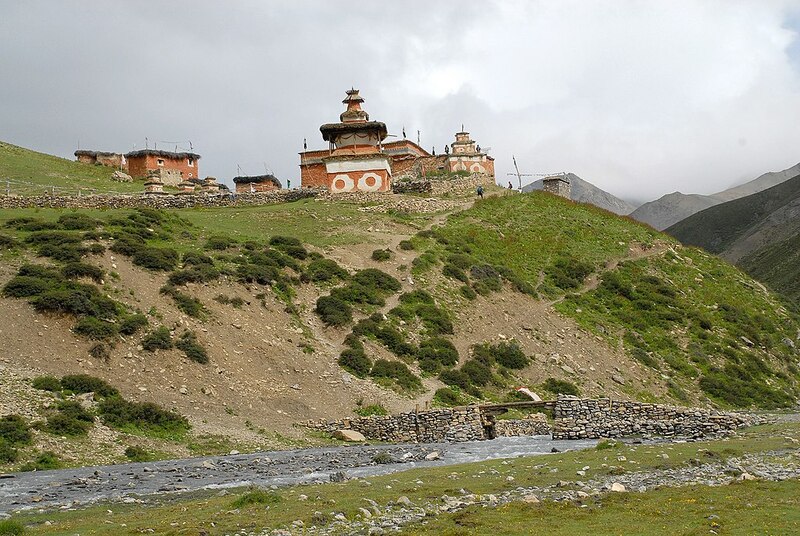 It is one of the three most important descendants monasteries of Dolpo. Overnight stay in Namuda Gaun. We'll begin our long walk along dusty barren mountains leaving behind Namuda Gaun. After few hours of the hard climb, we'll see Saldang village. It is the largest villages of the inner Dolpo area. It is surrounded by terraced fields and Mani stones. Then after gentle descends we reach Saladang villages for an overnight stay. We'll continue our walk along the Nagon Khola. Along the trail, we'll pass via some villages like Marang and Ki to reach Yangze Gompa. Next, we'll cross a tributary of Panzang river and walk towards the east and cross the river again before reaching Yangze Gompa, home to old Bonpo Monastery. Overnight stay in Yangze Gompa. From Yangze, there are two trails that connect to Sibu. In order to save time, we'll retrace the path back to Saldang village. From Saldang village, we'll walk along the bank of a river and pass via terraced fields, stupas, chortens, mani stones, and a Chaiba monastery. Then, we reach Namdo village, home to Namdo monastery located near the river bed. Further, our journey continues to near settlement of Sibu for an overnight stay. 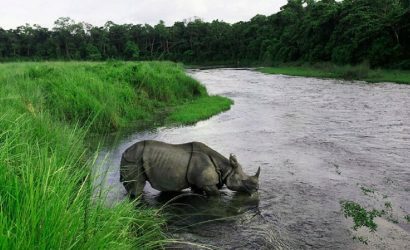 We'll walk along the Nam Khong Khola. 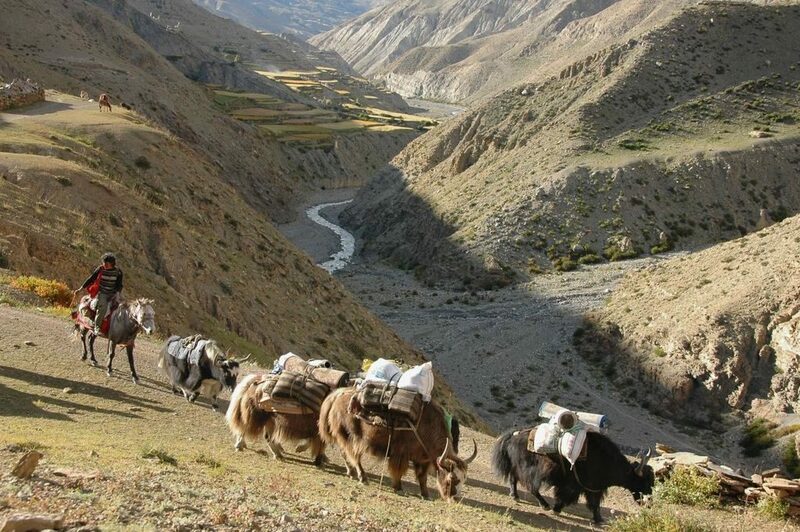 Then, we'll pass by caravans with yaks that are moving towards the Tibetan border. Further, we'll turn east and arrive at a confluence of two small streams. Next, the trail ascends to a grazing area below the Jeng la Pass. Overnight in Jeng La Phedi. Early in the morning we'll cross Jeng La Pass to reach Tokyu Gaon. After two hours, we'll reach the top of the Jeng La Pass. 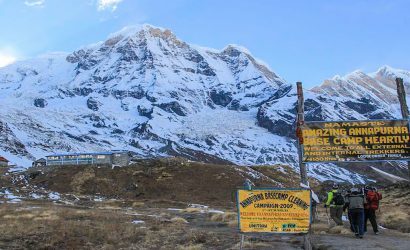 Here, we'll get remarkable views of the north face of the Dhaulagiri massif. After enjoying the view, we'll descend on a rough trail to the Tarap valley. It is a beautiful valley with vast plains in high mountains that extend twenty kilometers along Tarap Chu river. We'll spend a night near to the Tokyu monastery. This day, we'll trek downhill on a plain valley. We'll notice patches of lush grass on both sides of the river. Here, we'll see some different type of vistas from other parts of Inner Dolpo. Further, we'll continue our walk towards Dho Tarap. This is another interesting village with mix tribes of Tibetan origin and Magar hill tribe people. Overnight stay in Dho Tarap. This day, we'll have a whole day to explore the local areas. Dho Tarap village is surrounded by an irregular stone wall. During our visit, we'll get a close insight of the local culture. We can visit a Buddhist Gompa near our campsite or we could walk for 40-minute and visit Bon Po Gompa. Both Gompa's are worth to visit. Overnight stay in Dho Tarap. From Dho Tarap, we'll descend towards a wide valley. We'll walk along juniper and wild rose bushes. On the way, we'll see herds of blue sheep. By the afternoon, we'll reach the confluence of the Tarap Chu and the Lang Khola. We'll make our camp on Kamakharka and spend the night. This day, we'll continue our walk down the gorge of the Tarap river. During our walk, we'll pass by some amazing local people taking their herds to lower pastures for the winter. In true sense, this will be one of the most exciting and adventurous parts of the trip. The valley becomes so narrow in a deep gorge. Sometimes, we'll walk on an untraced path and discover path yourself. Also, we might have to across stone slabs fitted on logs in between the walls which act as a bridge. At some places, the bridges are either damaged or washed away. So that, we have to cross the icy torrent on foot. Finally, experiencing all these unexpected thrills we'll reach our camping site at Khanigaon for an overnight stay. This day, we'll follow a trail from our camp to the village of Lalberi. Then, our trail passes via lush forests, descends into another gorge and continues along the bank of the river again. After reaching Tarakot, we'll visit Sandul Gompa. Overnight stay at Tarakot. After having breakfast, we'll make a move to Dunai along the bank of the Bheri river. On the way, we'll pass through several deep gorges, villages, and cross several bridges to reach Dunai. Overnight stay in Dunai. After early breakfast, we'll retrace the journey back to Juphal. It'll be a short hike along the Bheri river to the small airstrip for the last overnight stop of this memorable adventure. After breakfast, we'll walk to the nearby airport to board the flight to Nepalgunj. Upon arrival in Nepalgunj, we'll take a short break. After some time, we'll again board the flight to Kathmandu. Upon arrival in Kathmandu, our representative will assist you and transfer to the hotel. Rest of the day in Kathmandu is free. In the late evening, there will be farewell dinner program at nice authentic Nepalese restaurant. Overnight stay in Kathmandu. Finally, your adventure trip in Nepal comes to an end. 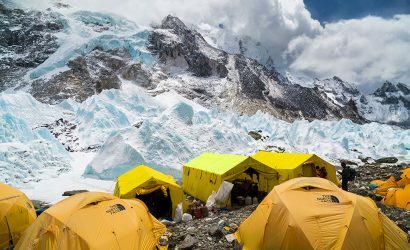 If you want to continue your vacation then we offer several trekking packages in Nepal, Tibet, and Bhutan. Depending on your flight schedule, our tour representative will drop you at the international airport for your next flight destination. For detail info about this trip or any other trekking packages, please free to contact us at any time. We’re happy to serve you !! !